As the standard mixture cools add more whole marshmallows and M&M’s that are autumn colored when stirring and then top with more of those colored M&M’s to the top. 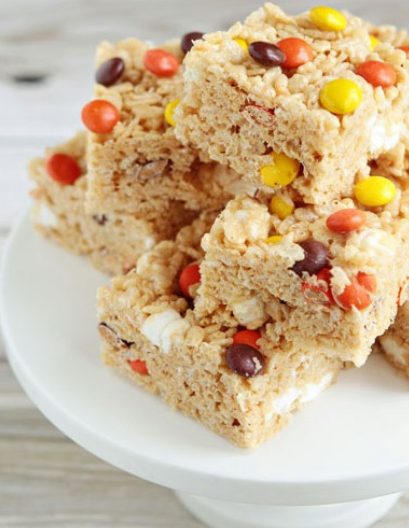 I also thing this would work if you can find this color combo in Peanut M&M;s.
This entry was posted in Crafts ~ DIY ~ Projects, ~Edible, ~Halloween, ~Thanksgiving and tagged crispies, m&m, mashmallow, Peanut, Rice, snack, squares, ~Halloween, ~Party, ~Thanksgiving. Bookmark the permalink.